→What is the Ideal Height for a Router Table? Setting up a safe and efficient workshop is crucial in utilizing the available space to the maximum. One of the important factors to consider is the height of the machines you need in order to facilitate your woodworking. A proper height and a stable surface determine accuracy and precision for every task you undertake. When it comes to the best way of using space, small workshops can always benefit more by having all the machines set at the same height. There are quite a number of machines in the workshop and each one of them is designed for specific purpose. 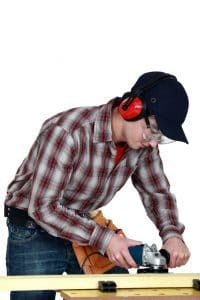 Mostly, you need a working surface to be able to handle most of the machines and tools used in the woodworking shop. Tabletops or benchtops are greater assets that any woodworking professional cannot afford to miss out. 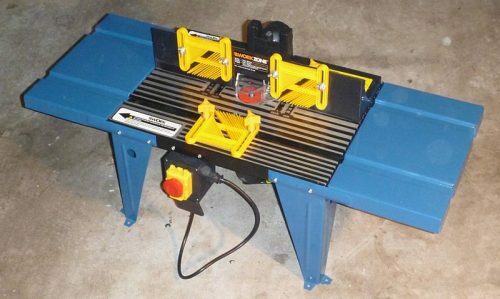 Among different woodworking benchtops in the workshop is a router table and in this article, we are going to have an insight into determining the best height you can adjust for a router table so you can work comfortably, efficiently and make high-quality woodwork products. That being said, there are many factors to consider when determining the perfect height for the router table. One of them is your height in relation to the height you want to set the router table. Based on your height, you can easily work out the height for your router table and there are steps that will guide you to achieve this feat. 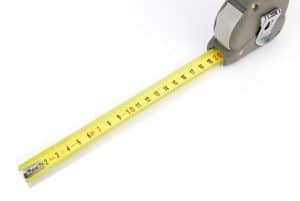 Once you have the necessary materials and tools, the next plan of action is to get some measurements. This is done by installing the router at the router table and then installing a tall router bit. The purpose of installing the tall router bit is to enable you to have control over the height when making necessary adjustments. ● Take measurements of the distance between the bottom side of the router and the surface where the router is to be used. ● Push the plunge router a little bit inwards and then latch it where the router bit is expected to stick out its maximum starting from the table top. ● Cutting will help you determine the height of the bolt. ● The distance between the workbench and the top of the flange pipe is the smallest height to be supported by the height adjuster and it should be larger. ● The moment the proper height is achieved note the height and lock the latch at the plunge router. The best height for the router table varies with each person and it can be worked out based on an individual’s height for convenience. For the best results, make sure that your router table is well adjusted for desirable results.